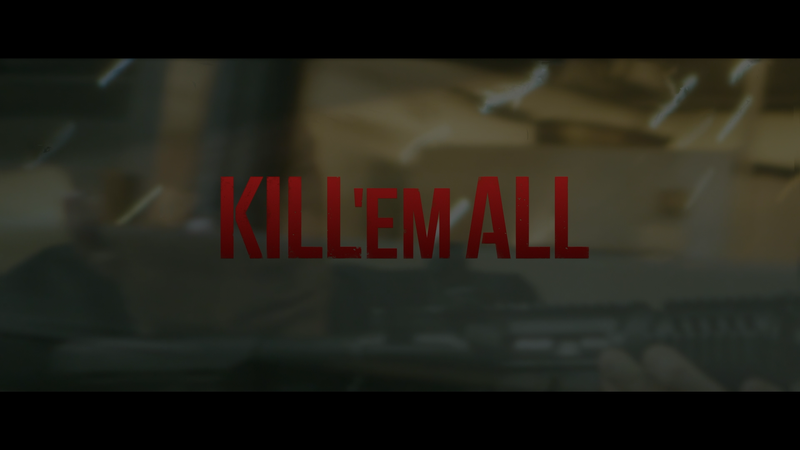 Kill ‘Em All could’ve been a fun little film but instead it has choppy editing, lousy writing and lazy performances (Autumn Reeser at least wasn’t bad) and a story that became overcomplicated, or came across as such, jumping back and forth in time. Plot Synopsis: After a massive shootout, a mysterious stranger (JEAN-CLAUDE VAN DAMME) arrives at a local hospital on the brink of death. Then, a foreign gang brazenly comes to the hospital to hunt him down. His nurse (AUTUMN REESER), the sole surviving witness to the follow-up shootout, must face an FBI interrogation that unlocks a plot of international intrigue and revenge. Quick Hit Review: I like Jean-Claude Van Damme even in his numerous bad movies. Kill ‘Em All, though, is one that I barely could sit through if not for some eye candy and a relatively short running time. Here, Van Damme’s character runs around, with a concussion, facing off against a variety of baddies with their own specialties (knives, finesse and straight-up force). He spews a few lines here and there but it seemed to me he was more hammered on set than demonstrating having a concussion. The female lead is portrayed by Autumn Reeser or as I refer to her in this as Rachel McAdams Ultra-lite for her similarities to McAdams in Doctor Strange. In reality she’s okay in the role especially playing opposite for a fair chunk of Peter Stormare as an FBI agent suspicious of the nurse’s story and recount of the events (it’s laid out in chunks). The film was helmed by Peter Malota, a fight chorographer making his feature debut, and it kind of shows as there’s little, if any style, and absolutely no momentum, though surprisingly, the stunts, which he was on this film as well, wasn’t very impressive either. 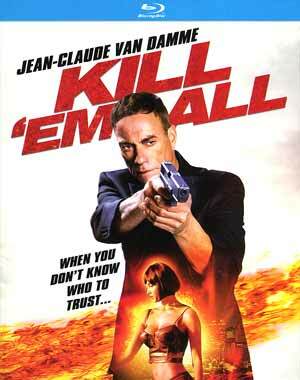 Kill ‘Em All could’ve been an entertaining little flick, nothing special for sure, but fun nevertheless, but instead we get a jumbled mess with the editing, some half-baked performances particularly that of Jean-Claude Van Damme who looked drunk, and the action/fights were poorly shot. I don’t know why, but I expected more from a JCVD movie even if it was dumb but rental worthy. It’s dumb, but that’s the extent of it. No features included, but this comes with a slip cover. 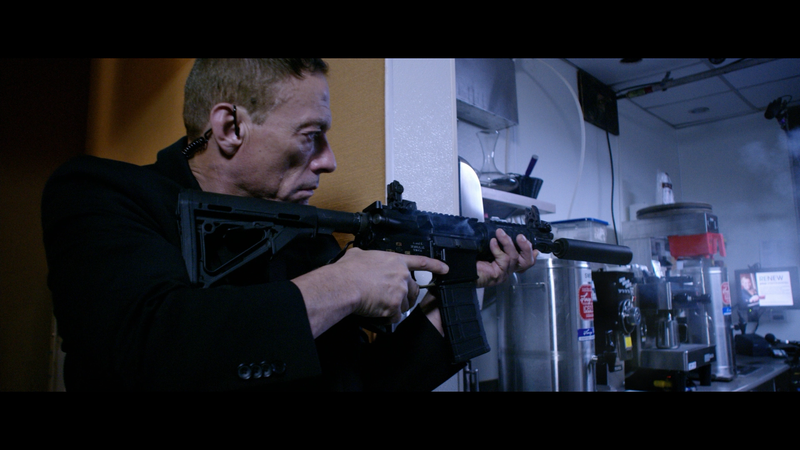 Kill ‘Em All shoots it up onto Blu-ray presented with a 2.40 widescreen aspect ratio and a 1080p high-definition transfer. For the most part this looks good with bright colors and decently sharp and nicely defined detail with no apparent instances of artifacting or aliasing. The movie includes a DTS-HD Master Audio 5.1 track and to call it lackluster is an understatement. I realize this was an uber-cheap production so I wasn’t expecting anything robust, but what we got instead was an extremely soft audio presentation where fight scenes and bullets shot have very limited impact, if any at all while dialogue levels, coming through the center channel, were at least passable. Overall, Kill ‘Em All could’ve been a fun little film but instead it has choppy editing, lousy writing and lazy performances (Autumn Reeser at least wasn’t bad) and a story that became overcomplicated, or came across as such, jumping back and forth in time. This Blu-ray is just as lazy with no features, good video and average audio.